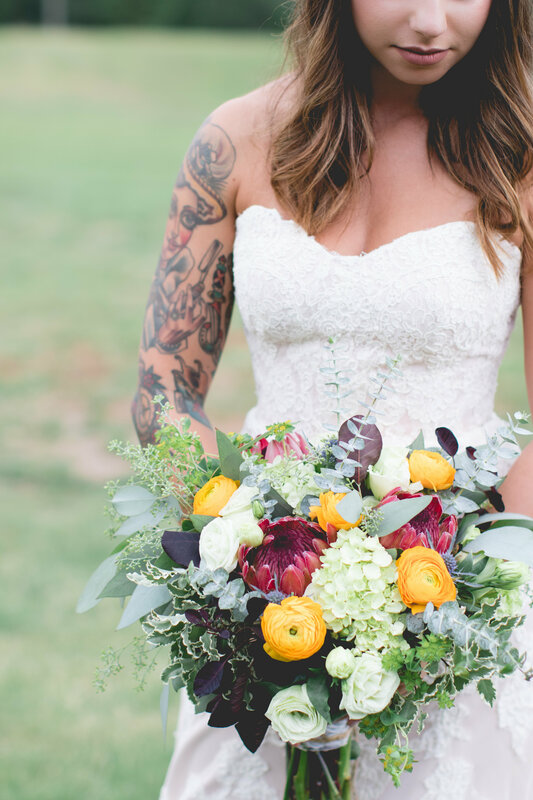 Coleen + Ramsay’s modern love story caught our hearts’ attention when we heard just how beautiful and thought-out every romantic spring wedding detail was. 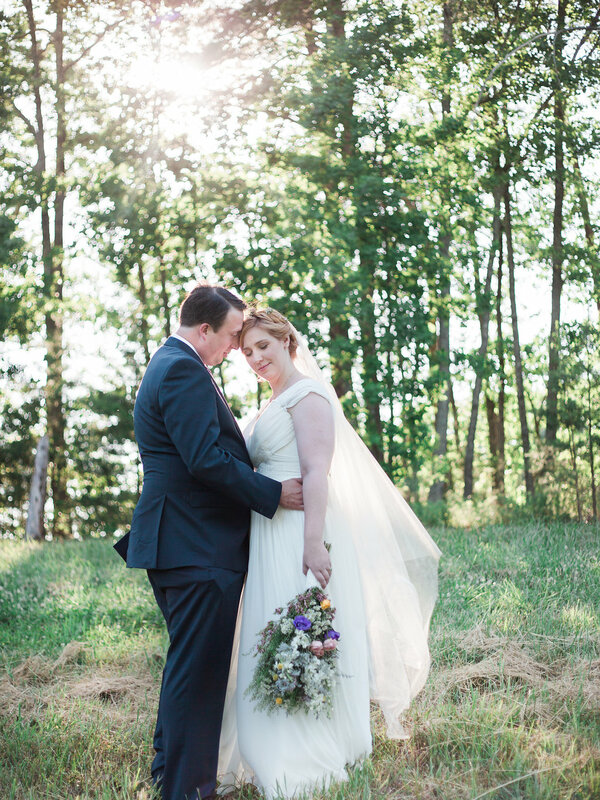 We are so thankful to have gotten to work with such a fun + adorable couple. 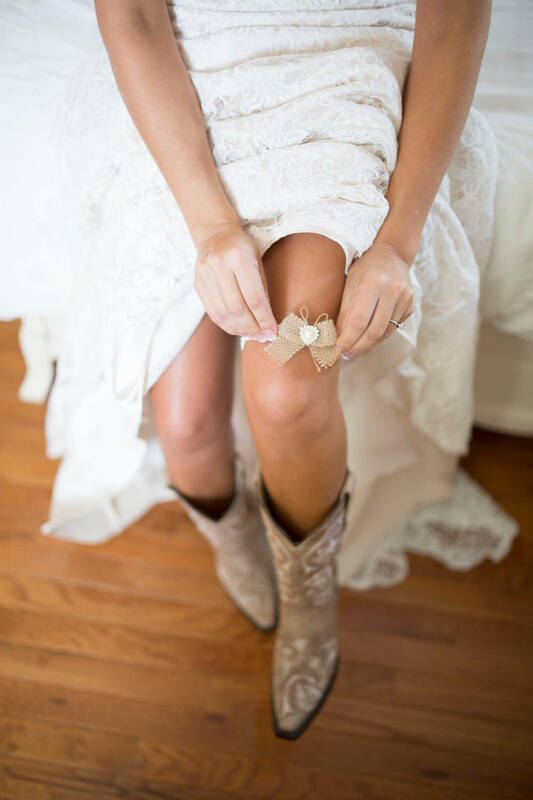 From flying sandwiches at the proposal to the sentimental handwritten vows at the ceremony, you’re sure to love this couple as much as we do! 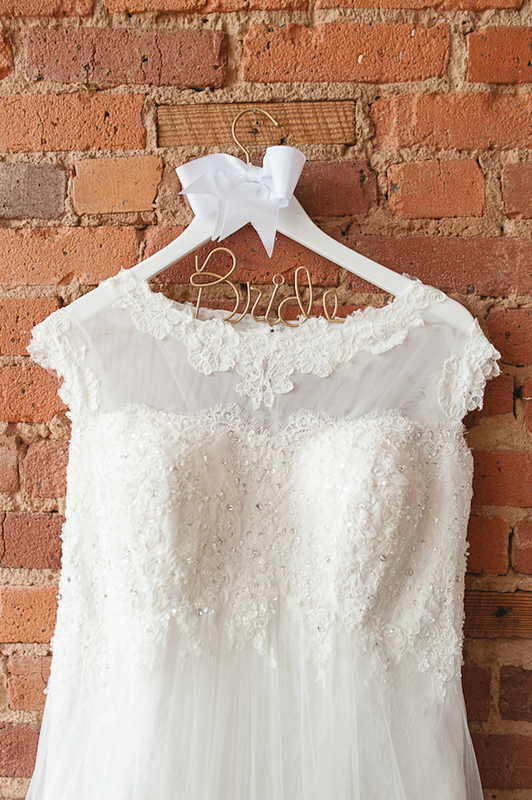 Today, Coleen shares with us what made the big day so special + dreamy. 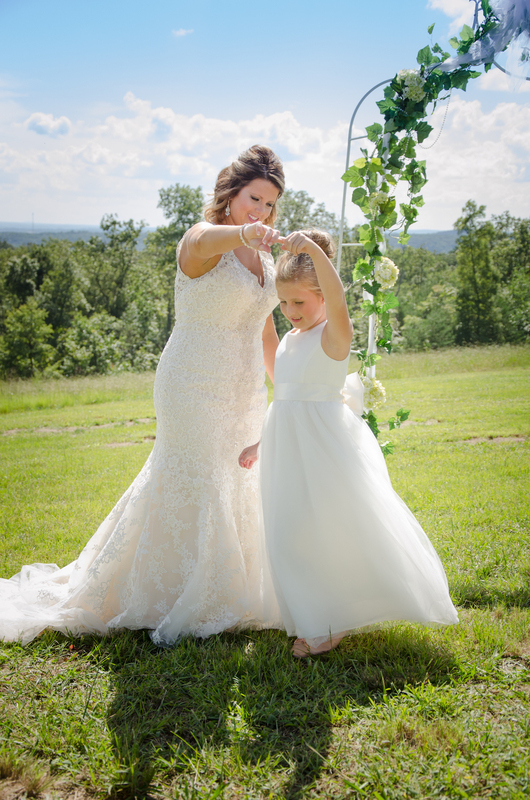 Thanks to Chrissy Noel Photography for capturing these sweet moments! We met online. Ramsay messaged me and after a few witty back-and-forth emails, we had our first phone call. After deciding neither one of us sounded crazy, Ramsay asked me to dinner and I agreed. However, a few days later I “downgraded” him to a coffee date. I arrived with an exit strategy and told Ramsay I had a prior engagement later that night. As anyone could have predicted, once I arrived and met the charming Ramsay all other “plans” for the evening were cancelled. Ramsay (rightfully so) still gives me a hard time about this to the day. Four years later, Ramsay once again had plans for me (and I once again almost ruined it). With the help of my friend Margaux, Ramsay arranged a surprise proposal at the Atlanta Botanical Gardens. Despite Margaux’s urging to go straight to the canopy bridge, I insisted on getting a sandwich (a girl has to eat). As we walked along chatting (and me munching), I noticed a guy standing at the bottom of the bridge holding flowers. As we got closer I realized that was my guy and turned to Margaux who was filming the whole thing. After I realized what was happening and uttered the infamous phrase, “Now? Really? But I’m eating a sandwich!” I threw my sandwich over the bridge and joined Ramsay at the foot of the bridge. Ramsay told me that almost 4 years before when he and I had been on a tour here that he realized that he wanted to spend the rest of his life with me. He then asked me to be his wife. I of course agreed and then Ramsay surprised me yet again by revealing that our families were there as well. Afterwards, our families joined together for a celebration lunch and the planning for the big day began! May 14th, 2016. It’s the perfect time in Georgia. The yucky yellow pollen is gone and most years, the weather is perfect. 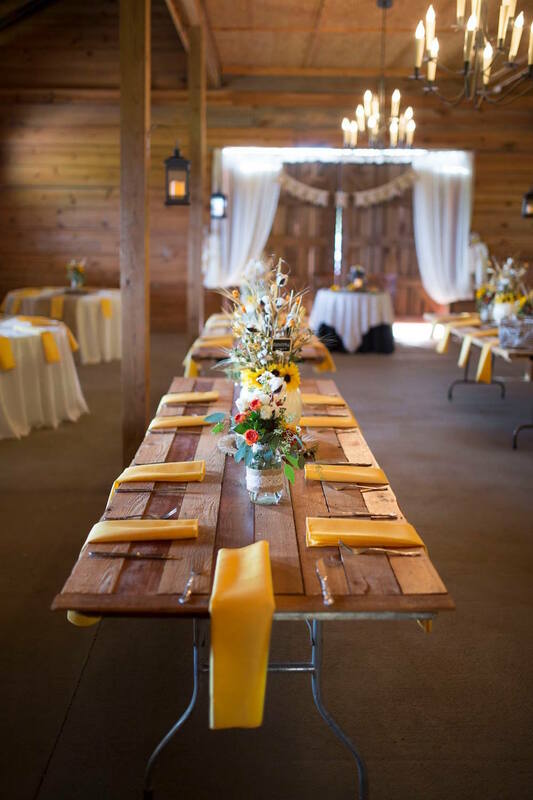 We wanted a relaxed and intimate affair. I wanted very simple flowers. I kept explaining to my mother I wanted it to look like we just gathered wild flowers from the side of the mountain. Writing our own vows and having Ramsay’s sister perform the ceremony. Her beautiful words really captured us as a couple and the spirit of the day. He was lovingly referred to as “Groomzilla” at times. Ramsay was very passionate about the venue, food, and music. 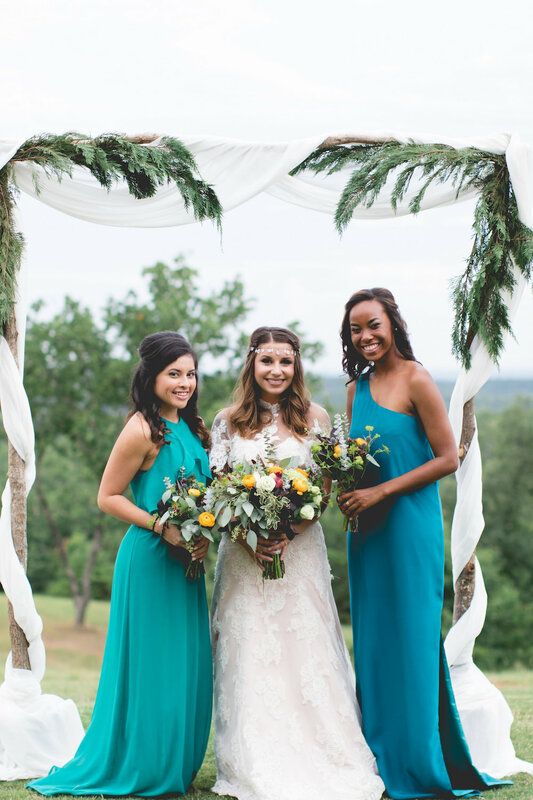 Did you have a wedding theme or color pallet? 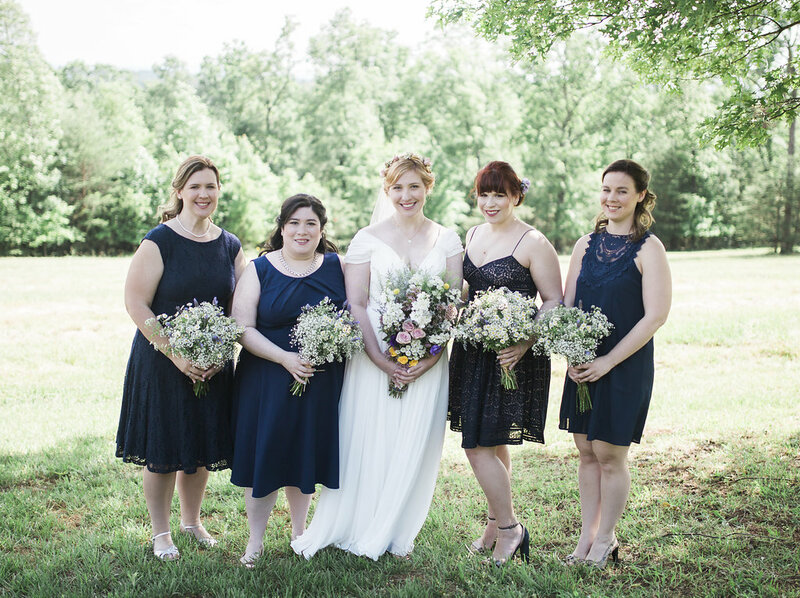 For our spring wedding we chose navy blue, with touches of light pinks and purples, and metallics. I let the girls pick out any navy dress they wanted (or already owned). It’s hard to find someone who doesn’t look good in navy! I wanted to expand on some things and eliminate others. It was important to me that we be introduced pretty much any way other than “Mr. 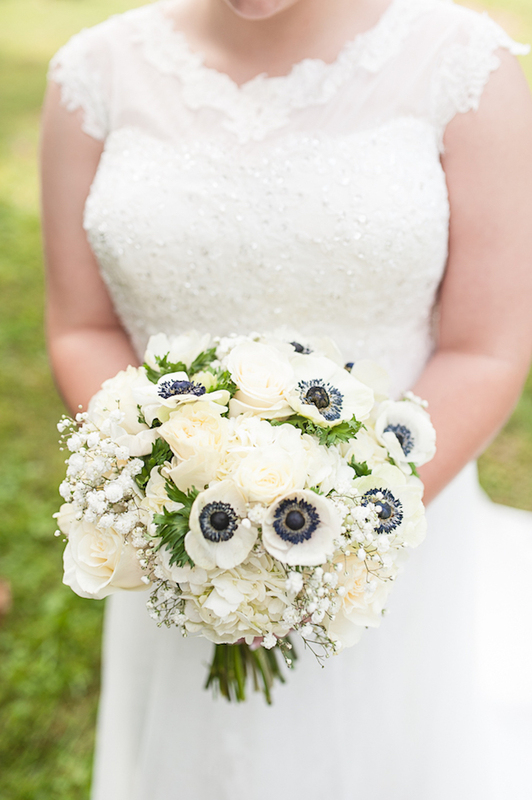 and Mrs. Ramsay Florence.” We also skipped the garter and bouquet toss. It was very important to me to have my mother involved in certain parts. She joined my father in walking me down the aisle. I also added a surprise for her. After dinner, Ramsay and I thanked everyone for coming and for all their love and support. When I spoke, I thanked my mother for everything she had done for us in regards to helping plan and creating this beautiful day. To top it off, at the end I handed her a pair of sunglasses and we had a special Daughter-Mother dance to Bob Seger’s “Old Time Rock N Roll.” It’s one of my mother’s favorite songs and it was a great way to kick off the dance party! My mother found Tatum Acres and when we went for a site visit, the view sold me. It was absolutely breathtaking. All the services and items included in the package is what sealed the deal. 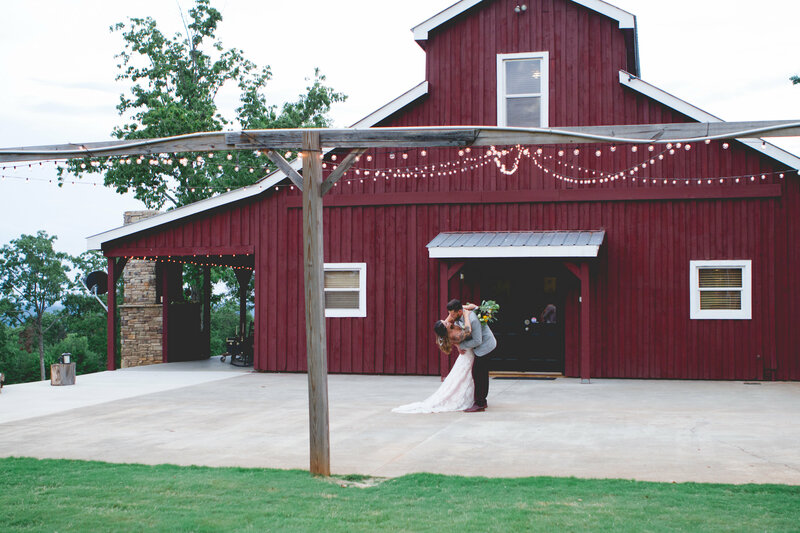 We were extremely lucky to have chosen Tatum Acres as our venue. 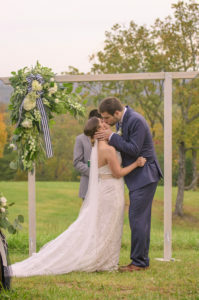 We knew we were going to have a beautiful spring wedding from day one. 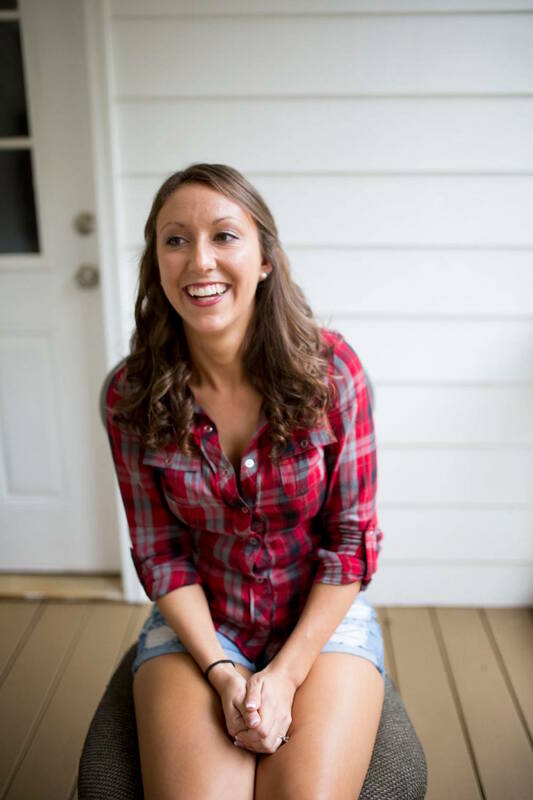 The staff was extremely supportive and always to answer questions and solve problems. We couldn’t have found a more perfect place if we tried. 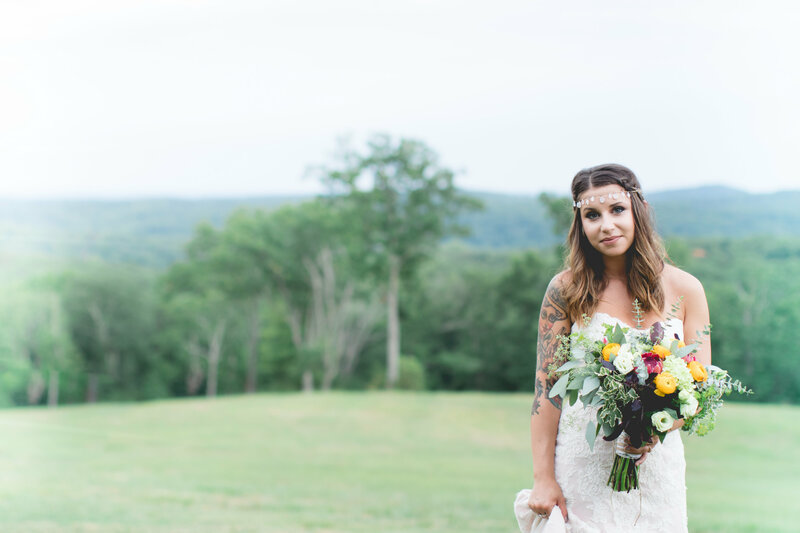 From their beach proposal to mountain wedding, Amber and Greg’s love story will have you swooning just like it did us! 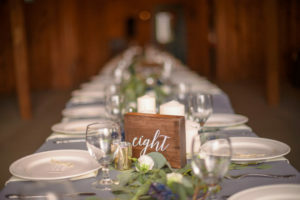 Every detail created the perfect rustic elegance ambiance for the couple’s dreamy barn wedding that overlooked the vibrant fall colors of the North Georgia mountains. 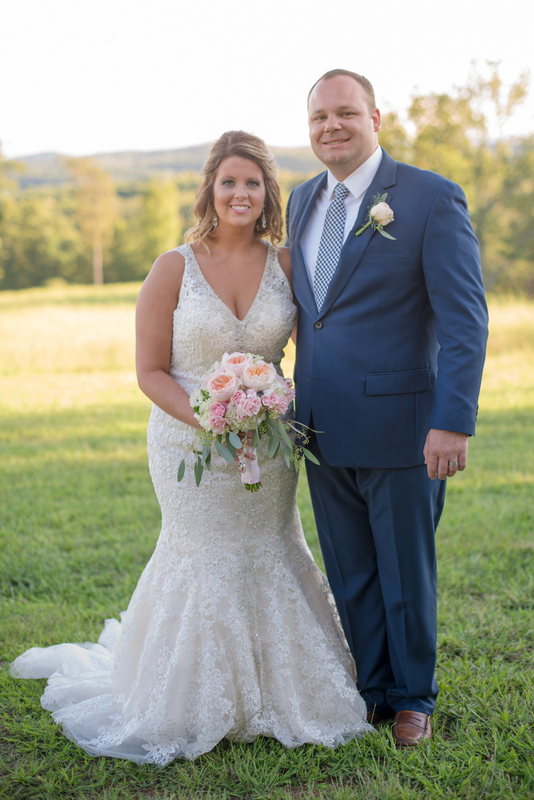 Friends and family celebrated Amber + Greg’s intimate and personal day, captured so beautifully by Frank Gibson Photography. 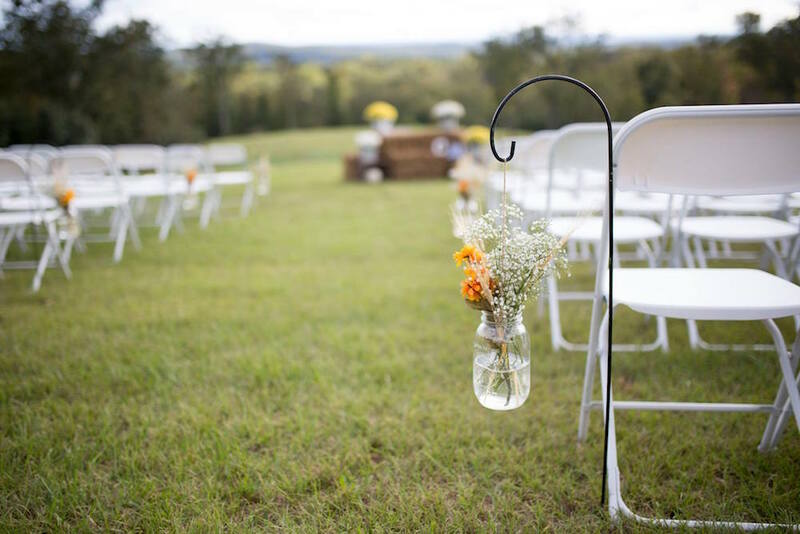 Although here at Tatum Acres, we believe every wedding and love story is uniquely beautiful. 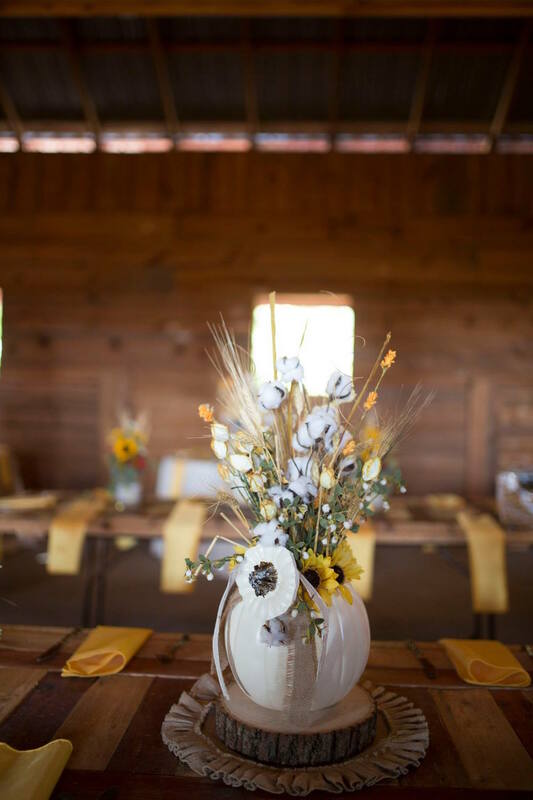 We absolutely love seeing such a charming and personalized barn wedding like this at our rustic venue. We’re still not over how romantic and unique their tree ceremony was. 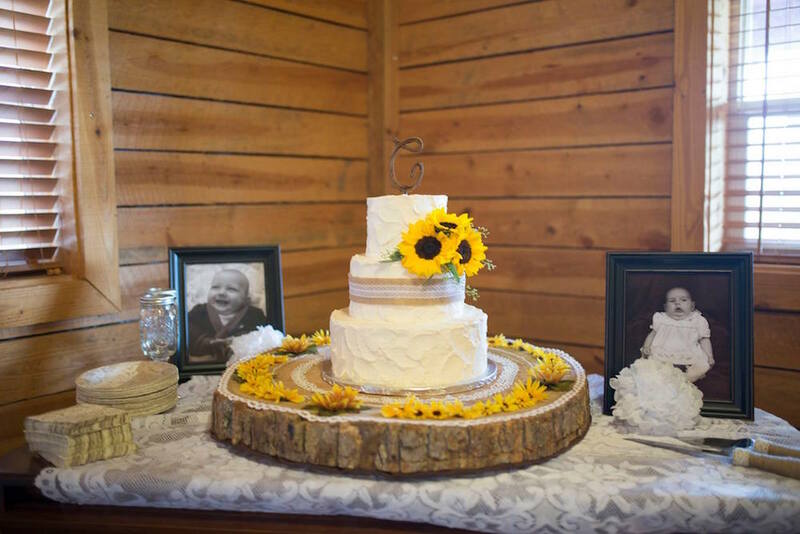 The groom’s sister, who also led the ceremony, gifted the couple with a beautiful tree. 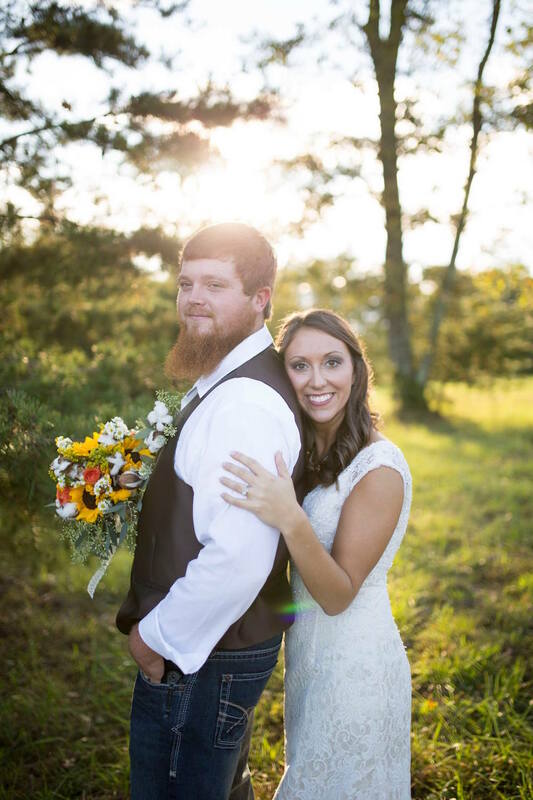 During the ceremony, Amber + Greg added soil from each of their childhood homes to symbolize the joining of the two families. Now the tree is planted at their home, where it’s a constant reminder of their love and commitment made on that beautiful fall day. 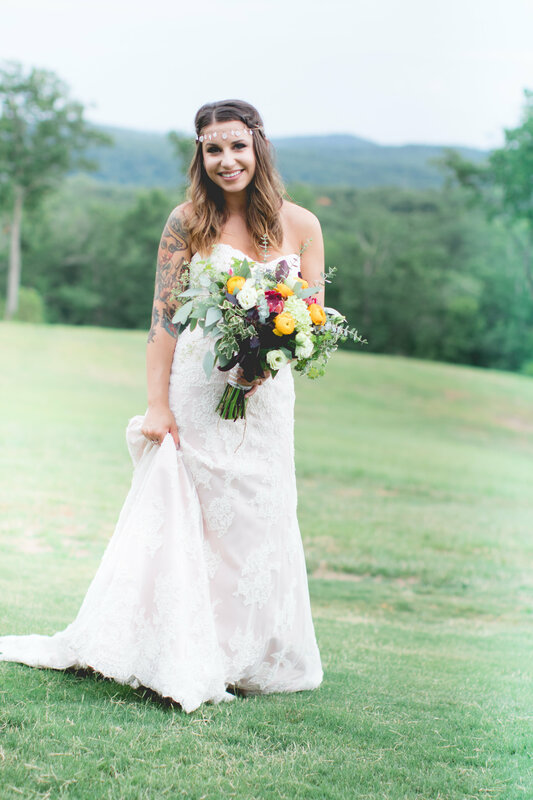 The bride shares with us more about the couple’s fairytale and how their North Georgia wedding came to be. While stopping through town for my Occupational Therapy Graduation, I visited a high school friend. I ended up getting the chance to meet his roommates and my future husband, Greg, was one of them. On my next trip to the city, we got to know each other a little more through a group dinner and outing. Soon thereafter, we had our first date, a Sunday brunch at a local favorite. After a beautiful day boating through the marshes of Savannah with friends, we planned to have dinner with friends. While dinner was on the agenda for the evening, Greg had failed to mention a little surprise he had planned for me before. During the weeks prior, he had been working with my friends to set up a beautiful surprise proposal in the dunes of North Beach, Tybee Island at sunset. 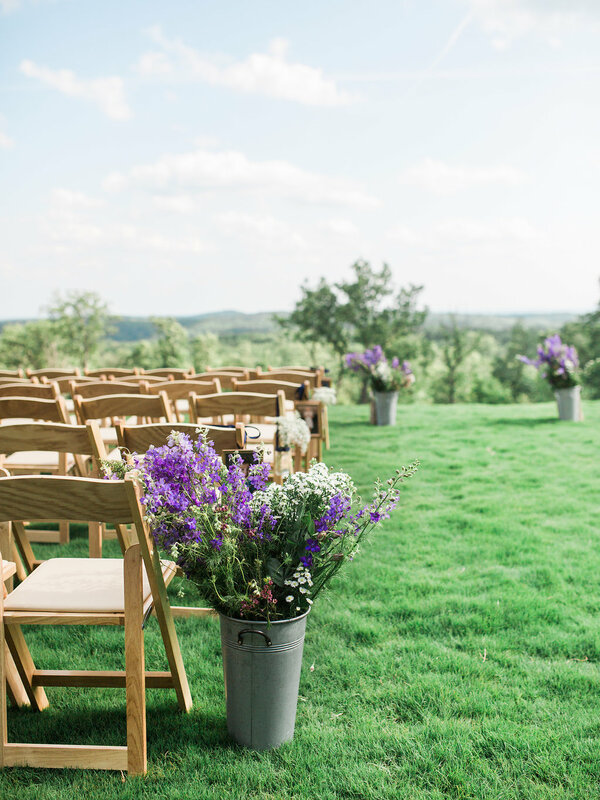 The setting was perfect and we had all of our friends there to celebrate with us. Greg had even gotten my mom to come up for the occasion. I couldn’t have asked for anything more, even if he did try to put my ring on my right hand and I still don’t remember saying yes. October 24, 2015. We wanted to enjoy the cool, but pleasant fall weather, the changing of the trees in the North Georgia Mountains and avoid big college football weekends (a UGA open weekend). 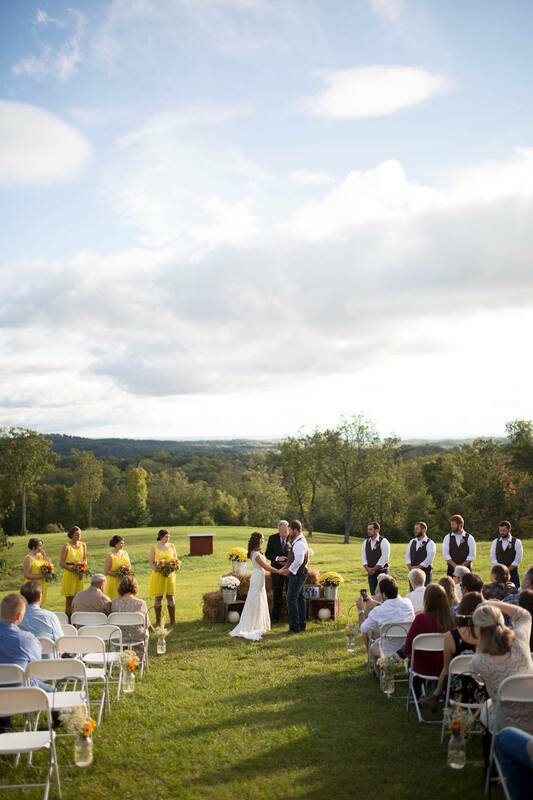 After considering all those factors, that date worked well with the venue we selected. Rustic elegance. 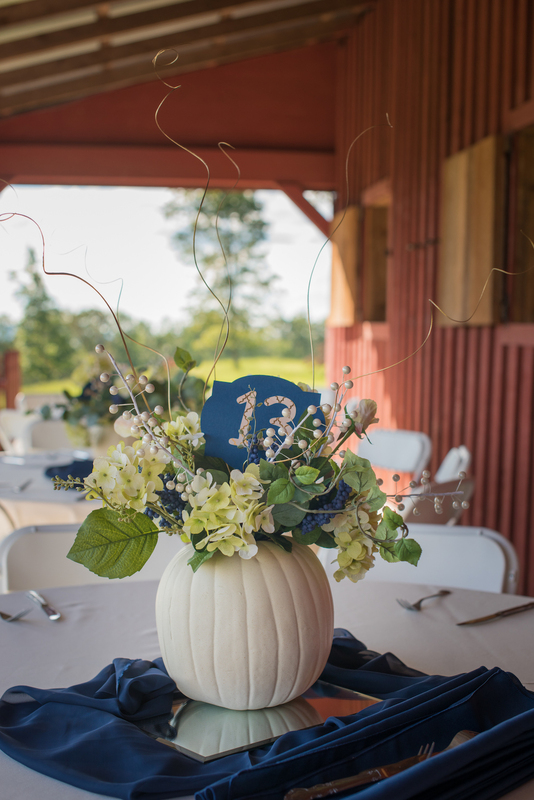 We wanted to use beautiful greenery, white flowers, and candles to accent the amazing venue. 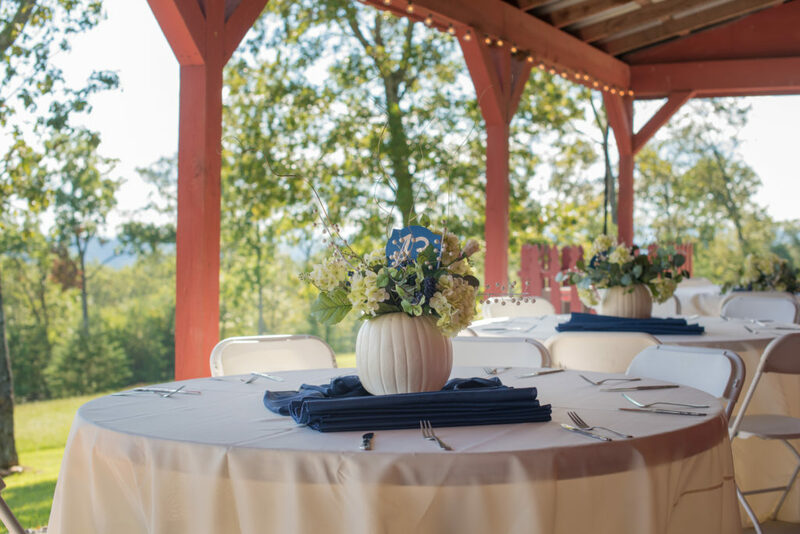 Our goal was to have a beautiful and relaxed setting for all of our friends and family to enjoy our celebration as much as we did. Rustic elegance. Gold, navy, with our neutral being gray. I would have to say I was very lucky. There were a few moments of “I don’t care” on his part, but he was actually involved in nearly every decision. He lent a helping hand on crafts and other special touches. Seeing all the details that we had spent so much time on come together to set the backdrop for our special day. 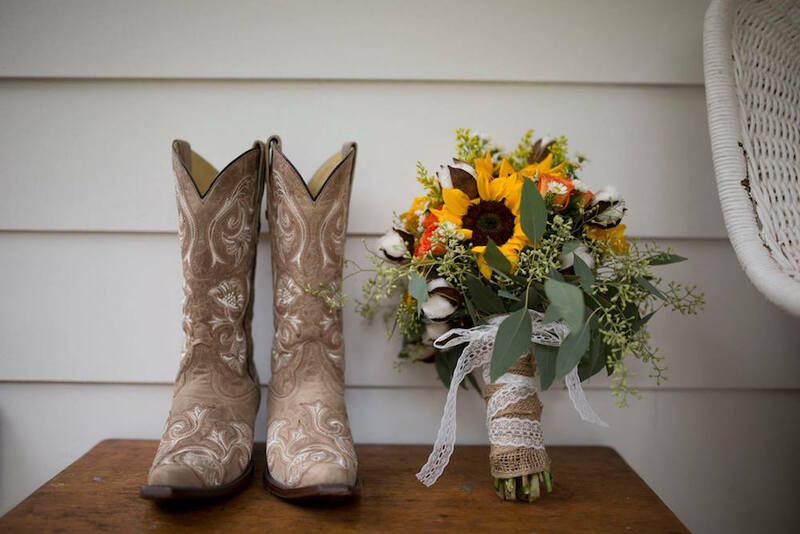 Did you plan on doing something outside of the norm to make your wedding more of your own? 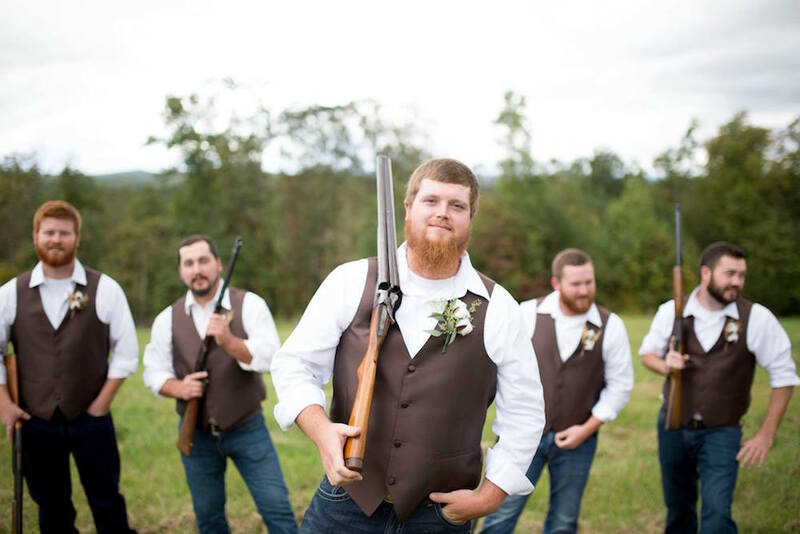 We had a close friend make it a more personal ceremony customized to our personalities. 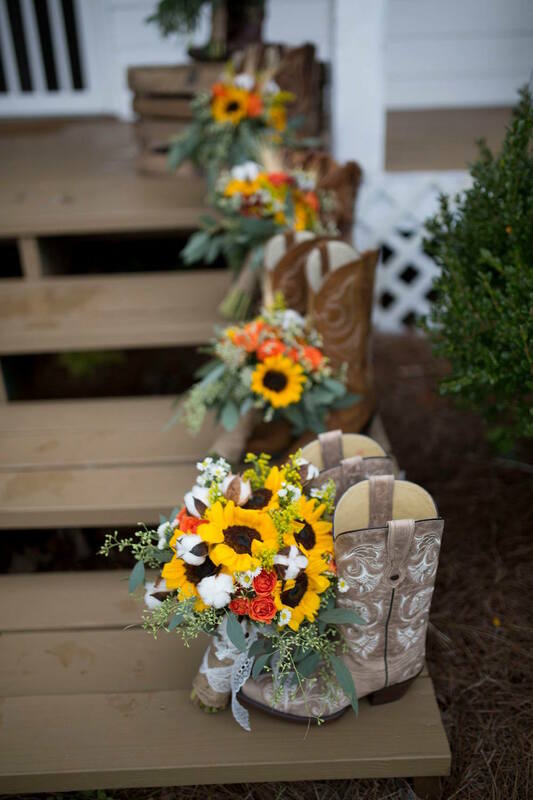 Although we followed many wedding traditions, we also wanted to have a family feel for guests. 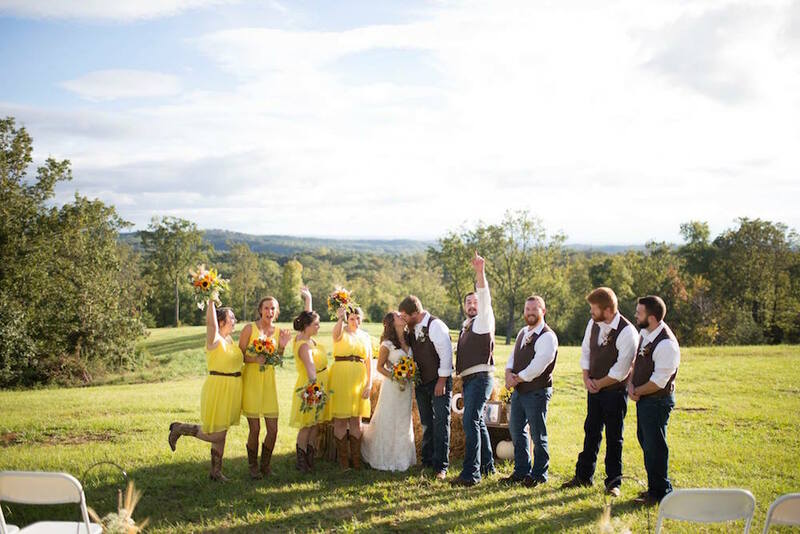 The intimate setting, reasonable size of the guest list and the family style reception helped with this. We also took a little less traditional approach for our unity ceremony. We chose to do the tree ceremony instead of traditional candles or sand. 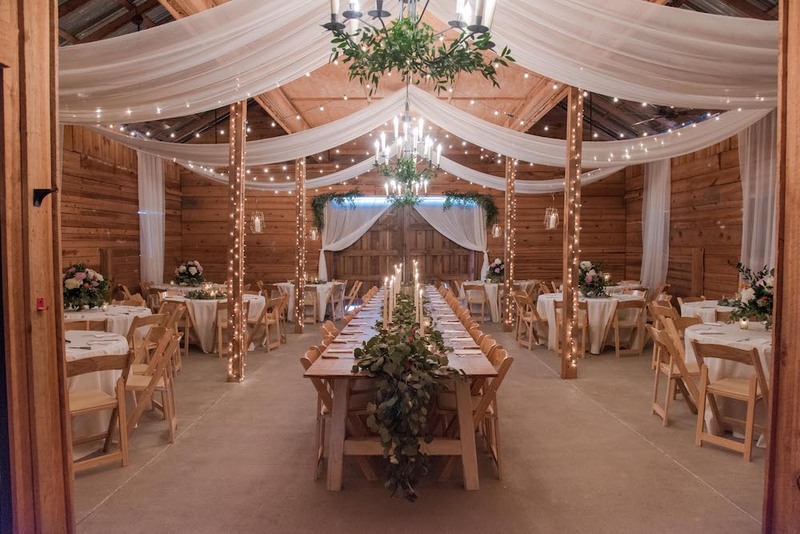 There are so many reasons we chose this for our barn wedding! 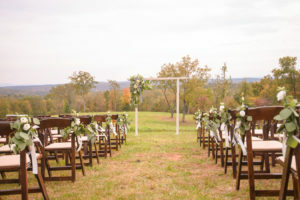 The scenic location, the convenience of options for the ceremony, reception and other areas needed for the wedding and surrounding activities. 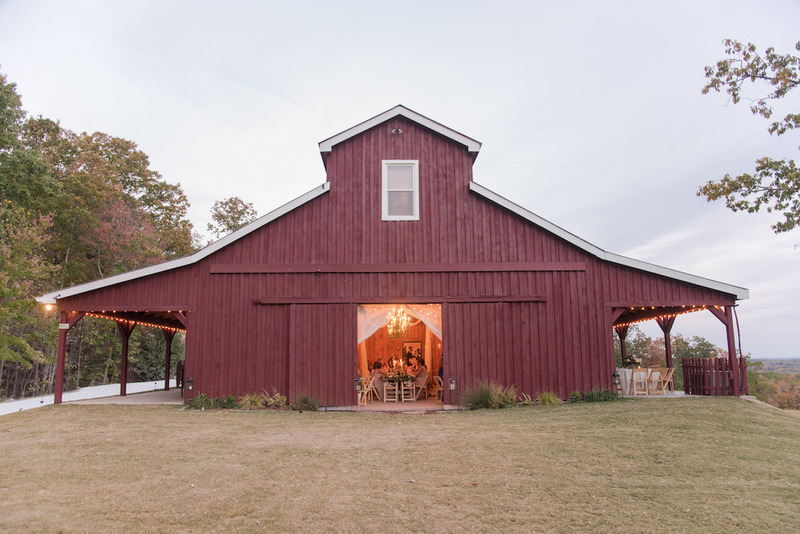 The wonderful buildings and housing options for wedding party guests. The proximity to Atlanta and to nice, available lodging at Big Canoe. 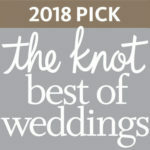 The true reason we chose it was because as we walked through, I could picture my wedding day perfectly.